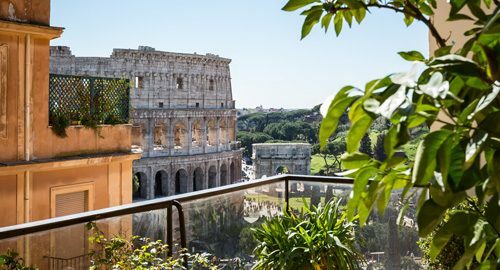 Mediterranean weather makes terraces enjoyable much of the year in Rome which is why finding the perfect apartment with a terrace, or balcony, is at the top of many of our guest’s wish list. When the weather is pleasant a terrace can be enjoyed throughout the day whether it’s in the morning with a cup of espresso, a long leisurely lunch or at dusk when waves of tiny starlings swoop and dive across the Roman sky. Apartments in Rome’s historic center with outdoor space, be it an expansive terrace, a petite balcony, a patio or a converted laundry porch, are a much-coveted feature that enhances your enjoyment and gives our guests a true Dolce Vita experience.